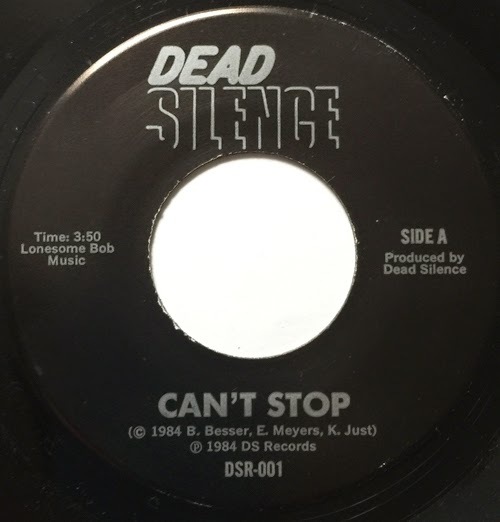 Apparently there are (were) not one, but two Colorado bands going by Dead Silence. This post is about the first one, formed in 1980 (Ken Just, Brooke Besser, Perry Gragas, and E.D. Meyers). They were only together about five years, but made quite an impression on the harder edge local music scene. Bummer they only released one single. Looks like they're still in business, with a CDBaby page of never-to-vinyl songs available. Good stuff. Dig in, but don't hurt your neck.